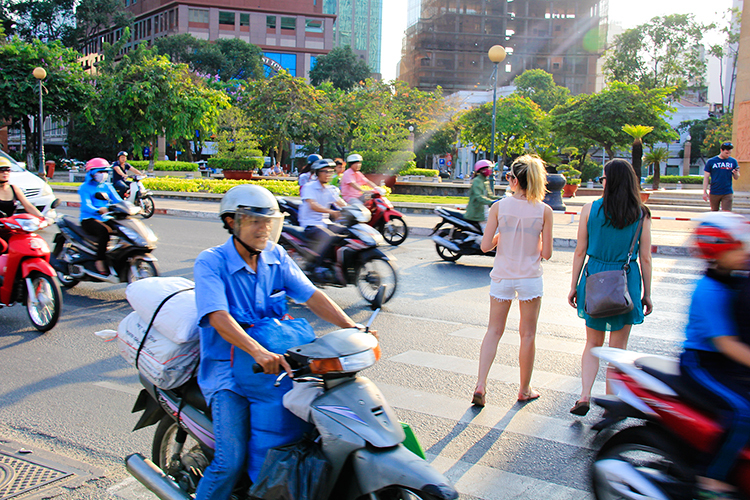 The main form of transportation in Vietnam is the motorbike. 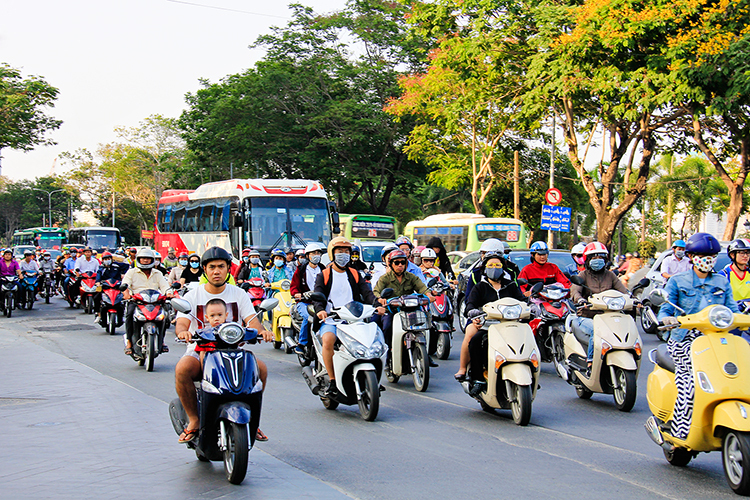 There are about 37 million motorcycles in Vietnam, compared to only 2 million cars. There seems to be a never ending flow of motorbikes on the roads, and you quickly get used to maneuvering around them as you cross the street. 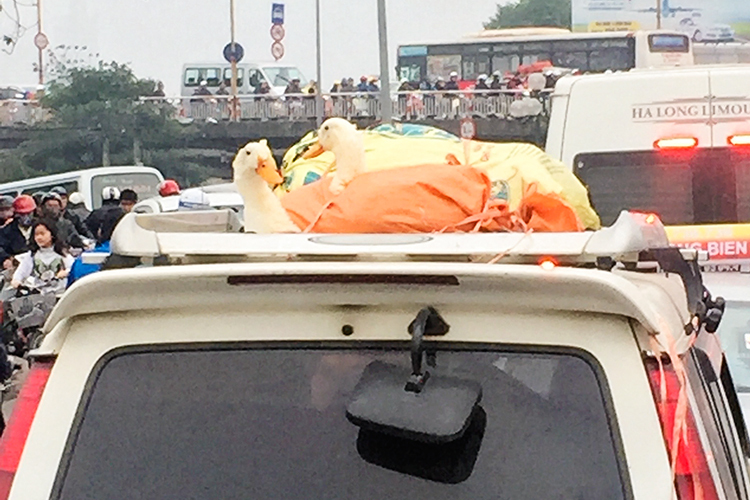 …Always a slow process, looking left and right repeatedly (the video above showed one of the few streets where traffic was only one way), with a near death experience at least once per every crossing. One of the amazing things about Vietnam are all the hidden surprises you would never know about without a little exploring. 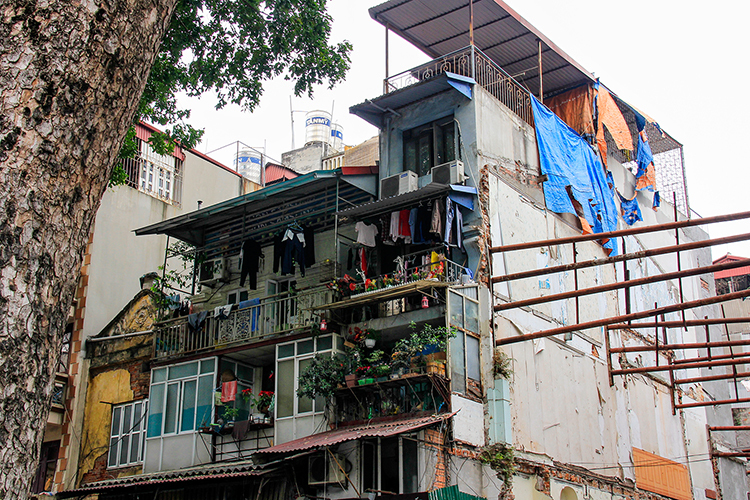 Buildings are taxed based on their width, resulting in streets full of narrow, sometimes very tall, buildings. 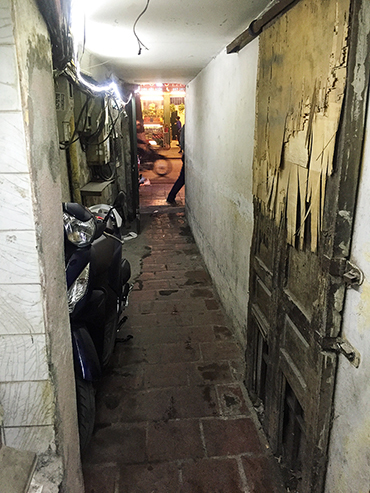 In between these buildings are multiple narrow alleyways, which can lead into an entire world of homes and buisnesses within their depths. Wandering down one of these can literally take you anywhere: into the middle of someone’s home, to a restaurant, a shop, or the neighborhood market. 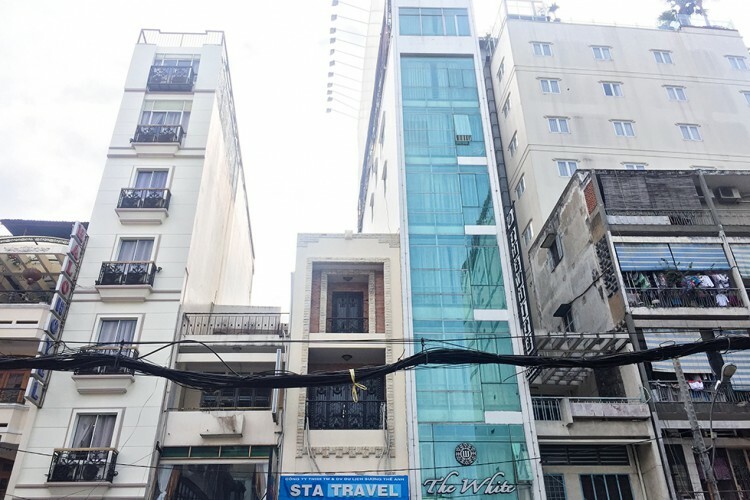 For example, getting to this rooftop coffee bar required walking to the back of a silk shop, taking a dark alley which lead to a staircase, which slowly wound up to the top floor where the coffee shop was found. 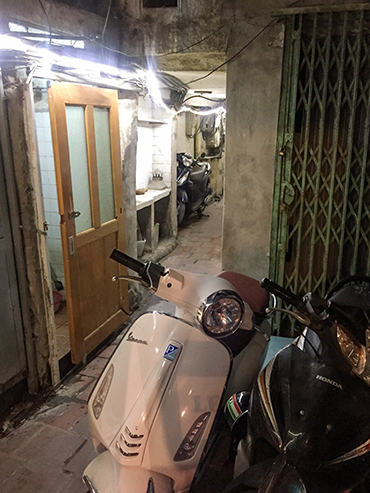 On a night out in Saigon, we took this alley to end up on the coolest little rooftop bar, with great music, hipster lighting, and comfy couches. This is where we celebrated our last night together! Best Service in the World? Of all the countries we’ve visited thus far, nothing has come close to Vietnam in terms of service. 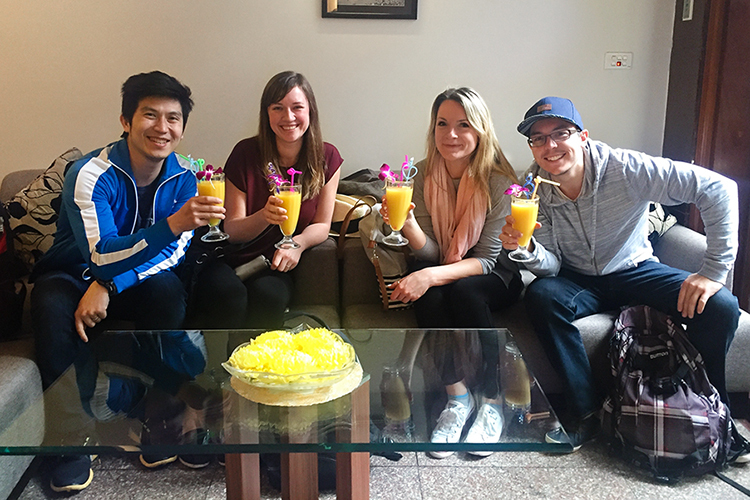 Our most prime example is the Elegance Ruby hotel in Hanoi – a hotel which welcomed us with freshly squeezed mango juice, took the time to learn our names, and did everything for us – from checking into our flights and ensuring we were all sitting together, to organizing shuttles for us to all the places we wanted to go. We also received a free upgrade every time we checked in. Maybe this sounds not all too impressive. However, we soon joked the hotel had us on GPS – they always knew where we were going and coming from, they noticed when one of our members was missing or a new one joined. To the point that we once took a cab to the train station, and when we reached to open the car door, a hotel staff member magically appeared and opened the door for us. He then proceeded to lead us directly into the train station and onto our specific coach and room. Once he was certain we had arrived safely and were settled, he disappeared. It was magic, I swear. 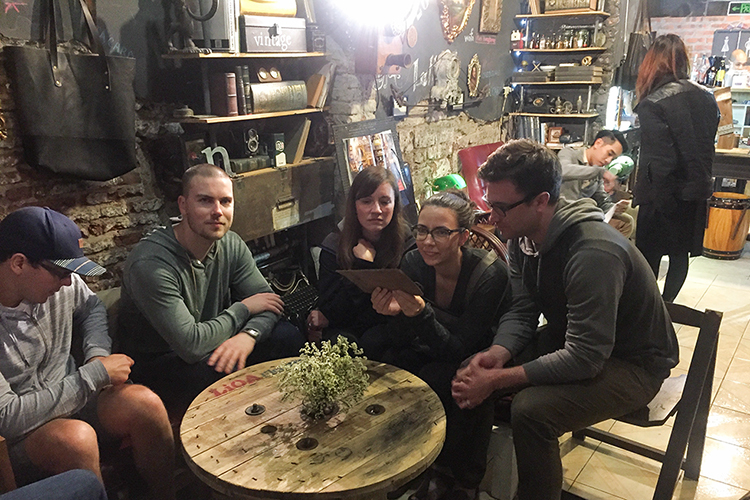 Another time we were wandering around hungry and ended up accidentally sitting at a cafe serving only drinks. They assured us not to worry, that we could order whatever we wanted and they’d fetch it from the neighboring food establishments (which they promptly proceeded to do). Yet another time Sara ordered Coca Cola for a drink (she was given the option), and we soon saw a lady run out onto her motorbike and show up a couple minutes later with a bundle of coke cans ready to be served. It is not uncommon to order something off a menu and have a staff member run out to the local market and buy fresh ingredients. The people here are so accommodating and the standards for service are set high. We have never been treated so well and taken care of. We felt like we had family looking after us no matter where we went! 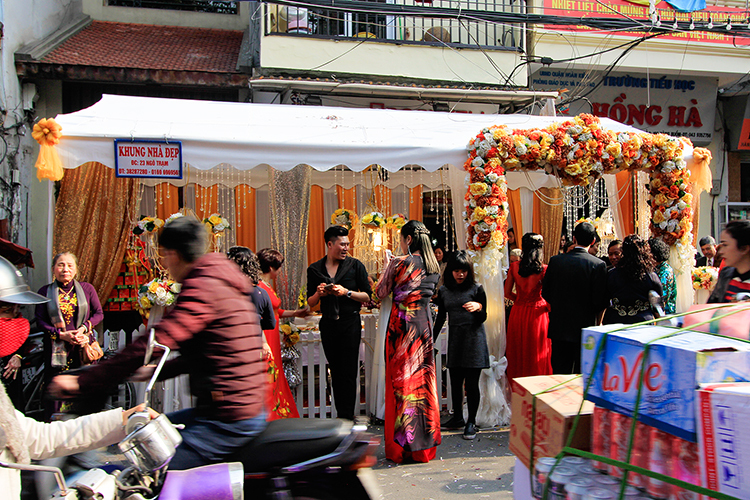 All of the action in Vietnam happens out in the streets in the open air. 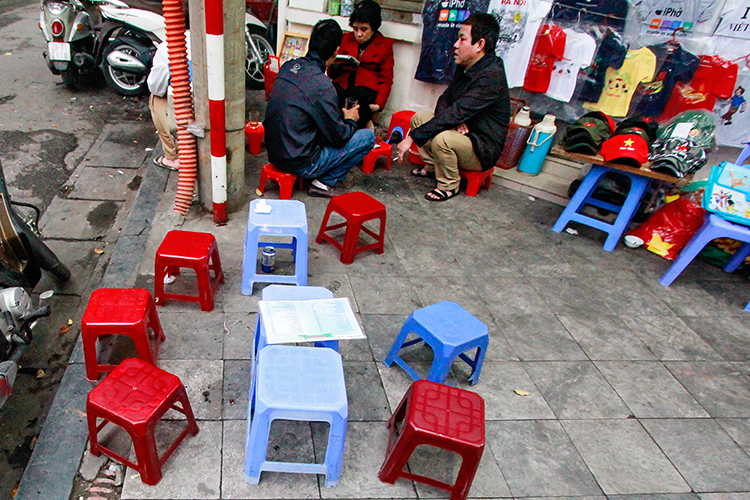 People sit out to eat on tiny stools on the sidewalks. Men get their hair cut and beards shaved. Women sell their handicrafts. People nap. They get married. They urinate. Anything and everything can happen out in the open air. 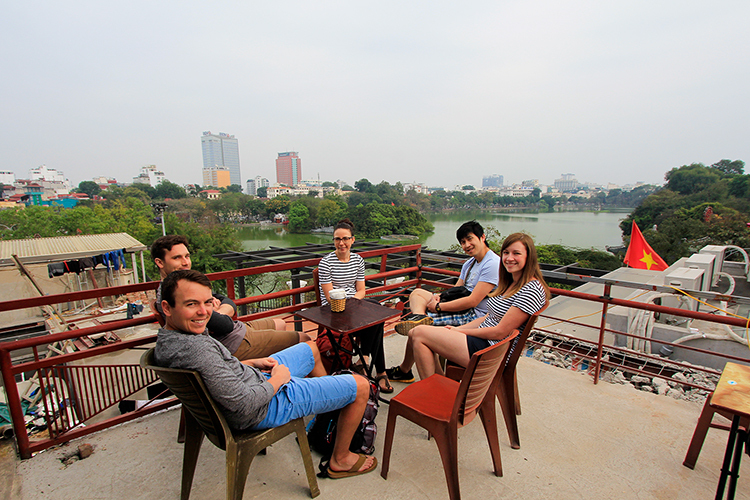 Sit in any coffee shop or restaurant in Vietnam, and I bet you’ll get some of the best people watching in the world. Vietnam is a very affordable place to travel. And if you choose to take the budget backpacking route, you can pay even less by staying in hostels and eating street food. Have we missed any other interesting facts about Vietnam? 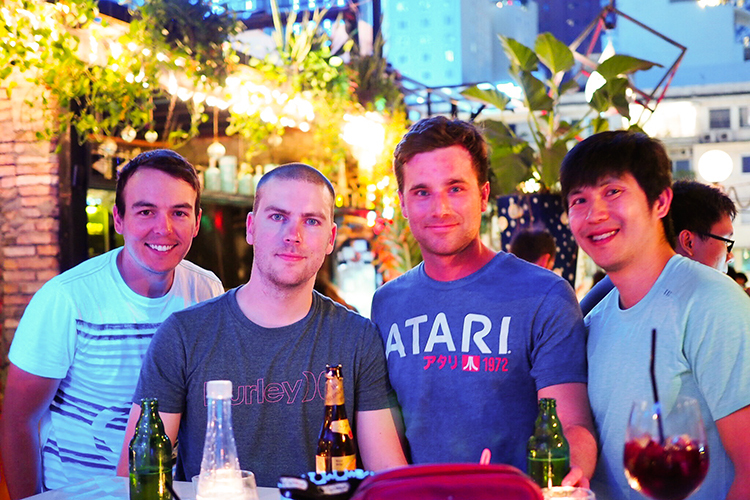 I remeber their night market and the exotic foods so different. ©2019 by The WANDERLUSTers. All Rights Reserved.